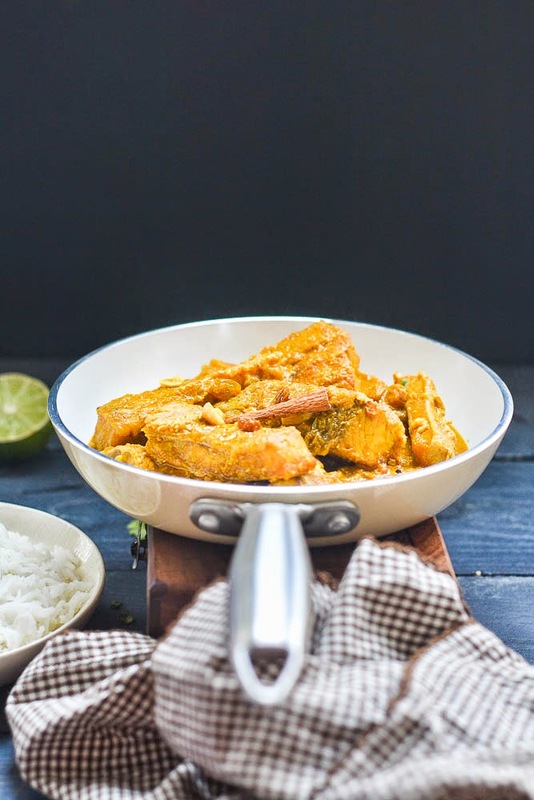 The korma style of preparation, mainly popular in South Asia, contains meat or vegetables braised in a sauce. The sauce can be made with cream, nuts or yogurt. 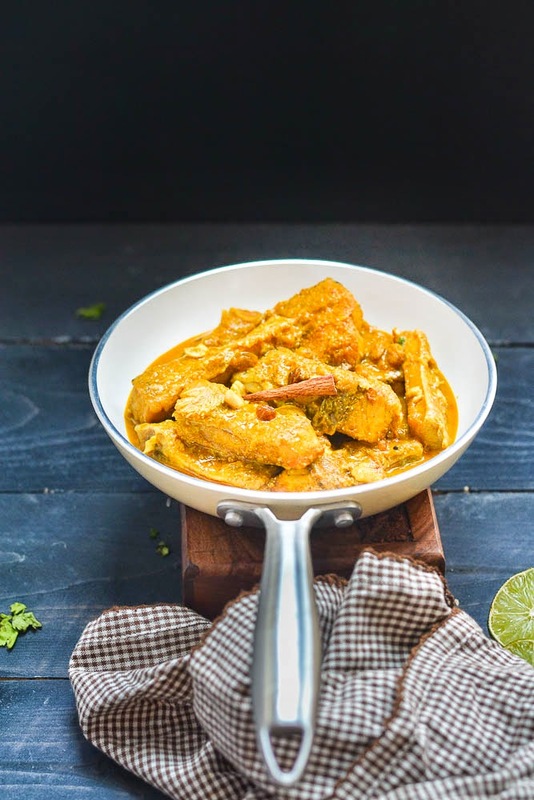 Like many other popular Asian dishes, Korma has its roots in Mughal days. It got a nice flavor generated from mixture of spices, including cumin and coriander, combined with Yogurt. In some parts of India, a specific type called “Navratan Korma” is very popular among vegetarian people. As the name suggests, it should be made with nine vegetables, but often only Paneer and nuts are used. 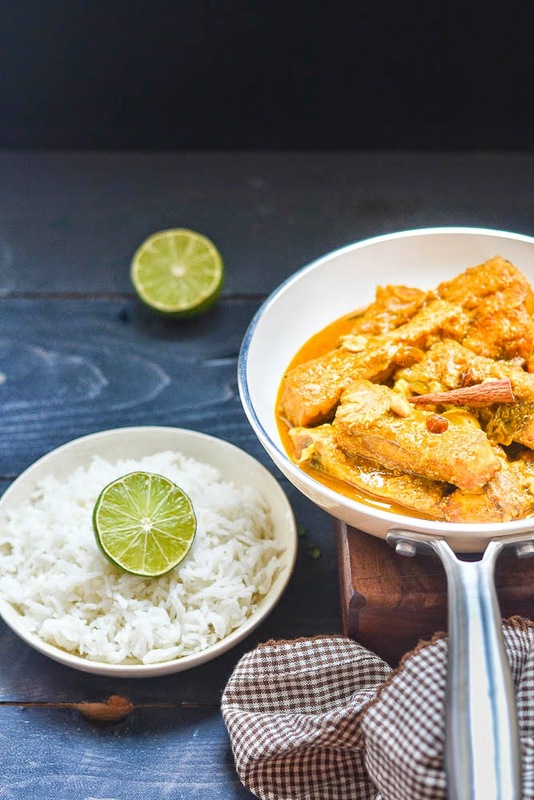 The Bengali people has customized chicken or lamb korma into Macher (fish) Korma by adding their own ingredients like raisins. Usually I prefer to cook this particular recipe with Rohu or Carp, but Salmon or Halibut is also perfect in this sweet and spicy yogurt sauce. 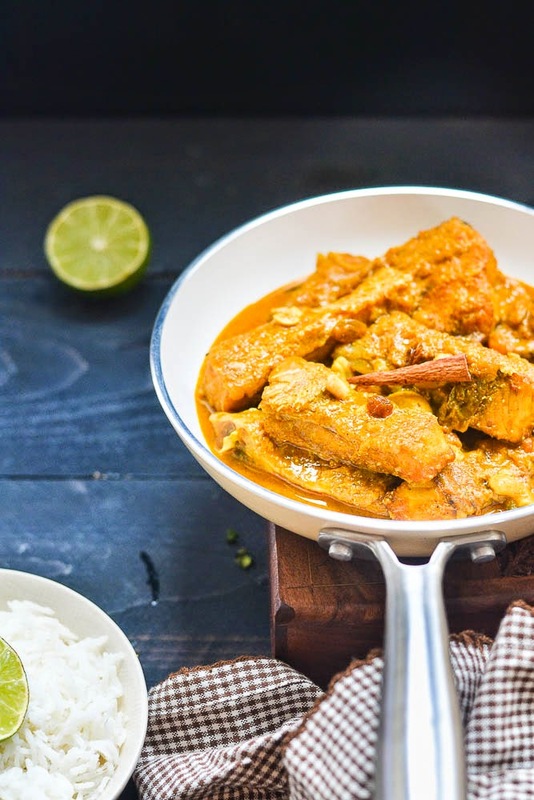 Recipe of Macher Korma : for 15 to 16 medium sized fish pieces. 1. Clean and wash the fish pieces and pat dry. Smear the fish pieces with salt and turmeric powder. Let it stand for 10 - 15 minutes. 2. Take a blender, and add coconut, poppy seeds, cashew and 3-4 tablespoon water. Make a paste and set it aside. 3. Take a big frying pan, add oil and heat it up. once oil is smoking hot, lower the flame and fry the fish pieces in two or three batches until they are slight golden in color on both sides. Once they are done, take it off from oil and set it aside. 4. In the remaining oil, add the raisins. Lightly fry it and keep it aside. 5. In the same pan, add 1/2 teaspoon sugar, green cardamoms, cinnamon stick, coves and bay leaves. 6. Once sugar begins to caramelize add the onion paste, and fry it, until it starts to change the color to brown. Add ginger and garlic paste. Keep stirring, until raw smell goes off. 7. Add turmeric powder, coriander powder, cumin powder and red chili powder to the pan. Add 2-3 tablespoon of water and stir it. 8. Add the chopped tomatoes and cook it until it becomes soft. 9. Add coconut- poppy seeds - cashew paste. Stir and cook until oil starts to separate from the spice. 10. Add the whisked yogurt. Stir and mix in everything. Add 1 cup of water, add salt and sugar as per taste. Once the sauce starts to boil, lower the fame and add the raisins, and fried fish pieces. Cover it with lid. 11. After 4 to 5 minutes open the lid, check seasoning and adjust accordingly. Add garam masala. Add fresh cream and switch off the gas. 12. 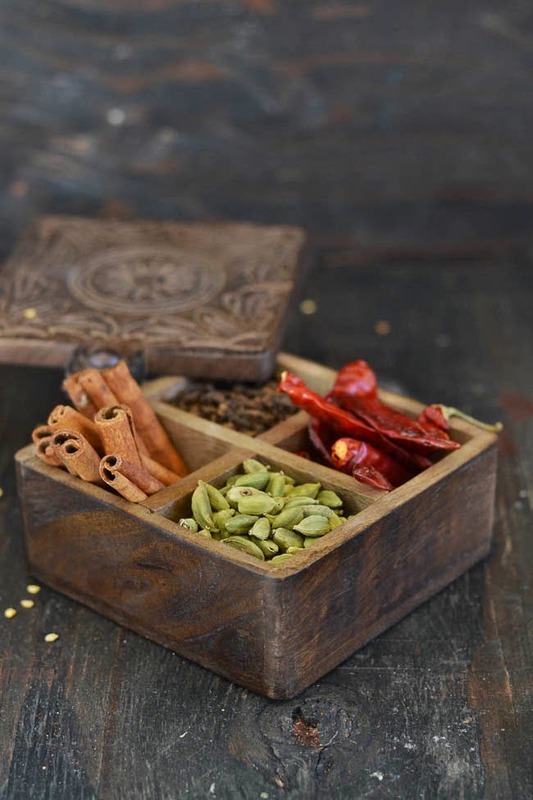 Serve hot with plain rice, pulao or Biryani.